Jimmie Walker was raised in a violent and abusive home in the Bronx. Starting in small clubs and eventually opening for Black Panther rallies, he ultimately became an icon playing J. J. Evans on Good Times. Walker was the first successful young black sitcom star, and his catchphrase--“Dyn-o-mite!”--remains an indicator of the era. He saw sudden and enormous fame in everything from comic books and a talking doll to pajamas, trading cards, a bestselling album, and TV Guide covers. 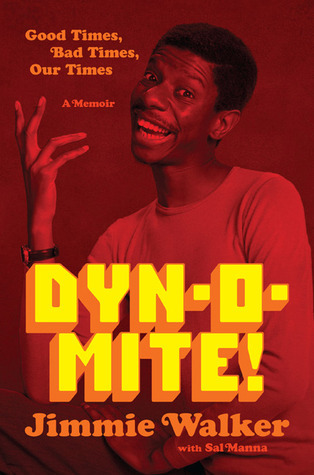 In Dyn-o-mite!, Walker candidly talks about his rise and the considerable tensions on the set of Good Times that contradicted the show’s image of a close-knit, blue-collar family struggling to survive in the projects. Walker made “Dyn-o-mite!” a catchword for the Baby Boomer generation. Today, Dyn-o-mite! will inspire that same generation to rediscover what once made America great--the freedom of thought, the freedom of speech, and the belief in the individual.